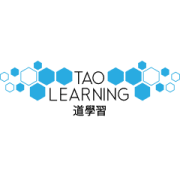 Tao Learning has a purpose to advance education in a P-20+ Initiative, including but not limited to advancing the education in STEAM subjects and subjects deemed necessary to join the workforce. We forecast the career market over the next century and provide resources in the advancement of education to said market. We will increase literacy across multiple languages. The focus of literacy includes written, spoken, unspoken, digital, and other languages used by society or projected to be used in the forecasted future. The character and essence of Tao Learning is the same as the purpose. We have online education material for kids as young as 2 years old where they can meet with our team to facilitate learning. We have internships for high schoolers and college kids. Then, we are global with people working with us from China, Philippines, Africa, and always expanding. We have a great online community with fun chat rooms on our own App where our volunteers meet up in the digital world to chat with each other, get involved, and meet like-minded individuals who enjoy learning, teaching, and helping others. Would you recommend TAO LEARNING INSTITUTE?